Existing Homes | EnergySaveNewWest | Save Energy, Save Money. We’re here to help you in achieving your home improvement goals, whether they include improving home comfort, reducing energy costs or increasing the resale value of your home. If you own an existing home that you’re looking to renovate, Energy Save New West can help you get started with 5 easy steps. Sign up to take the first step and gain access to exclusive program resources including FREE personalized energy coaching services for technical support to help with planning and implementing your energy upgrade project. Limited number of energy evaluations (pre-upgrade) available for only $75 (you SAVE over $300). Schedule a pre-upgrade energy evaluation at your convenience with an Energy Advisor. Working with an Energy Advisor, you’ll gain a better understanding of your home’s energy use with a custom report and EnerGuide rating that helps you make home improvement decisions that fit your needs. Share your home’s EnerGuide label with Metro Vancouver’s rateourhome.ca and join a growing community of homeowners sharing the energy performance of their home and seeing how it compares to other similar homes in the region. From air sealing and attic insulation, to replacing windows and upgrading your heating system, there are a number of opportunities to improve home comfort and reduce energy costs. Hiring the right Contractor will help you turn your energy assessment into energy upgrades and savings. Are your energy bills going through the roof? Discover energy upgrades options below and learn more about how you can help reduce energy costs, increase comfort and minimize the carbon footprint of your home. Good ventilation is as critical to your home comfort and safety as a reliable heating system or a smoke alarm. Ventilation supplies fresh air to your home and dilutes or removes stale air. ENERGY STAR® rated bathroom fans are an important part of your home’s ventilation system by removing odours and other contaminants they help maintain a good indoor air quality. Draft proofing and air sealing a home offers many advantages. For example, heating your house will cost less and you’ll be more comfortable because there will be fewer drafts. By effectively draft proofing your house,you’ll notice a warmer home in the winter and cooler home in the summer. Up to sixty per cent (60%) of the energy required to run the average home is used for space heating . A smart decision about heating can significantly reduce the cost of running your home and also make your home more comfortable. Some impressive improvements have been made in heating systems in recent years and there is a wide range of good heating equipment on the market including high-efficiency furnaces and heat pumps. Often the biggest energy wasting areas in your home is the attic and that is why it is often the most cost-effective place to add insulation. The right attic insulation upgrade can save you money, reduce the amount of energy you use and make your home more comfortable. Did you know that walls can account for about twenty per cent (20%) of heat loss in houses? In addition to heat loss through the walls, there are many cracks and penetrations that allow uncontrolled air leakage into and out of the house.Insulation of the building envelope keeps heat in during the winter, but let’s heat out during the summer to improve comfort and save energy. Like any system, your house will run only as efficiently as you operate and maintain it. Operating it efficiently will maximize your upgrade gains and can actually improve your home’s heating, cooling and ventilation performance and overall durability. One of the easiest ways to save heating dollars is to lower the temperature setting on your house thermostat. As a general rule, you will save two per cent (2%) on your home heating costs for every 1°C (2°F) you turn down the thermostat overnight. Many basements have little or no insulation, so this means there is much potential for improvement. In fact, basements can account for about twenty per cent(20%) of a home’s total heat loss and this is due to the large, un-insulated surface area both above and below grade level. *Energy Save New West does not endorse the services of any contractor or any specific products and accepts no liability in the selection of materials, products, and contractors or performance or workmanship. For a limited time, a $150 rebate is available when completing a pre and post energy evaluation with an Energy Advisor. Energy Advisor completes a post-upgrade evaluation to verify improvement, update your home’s energy efficiency (EnerGuide) rating and submit rebate application(s) on your behalf. Further details on rebate and incentive offers are available through the EfficiencyBC website. 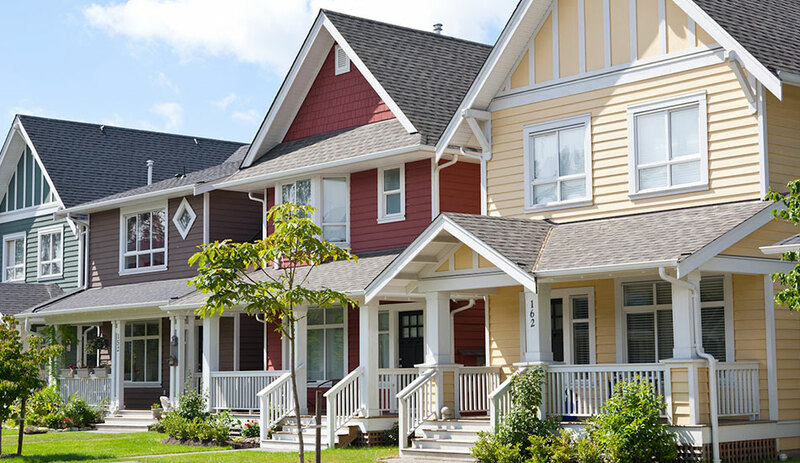 *Home Renovation Rebate Offer and EfficiencyBC available for BC Hydro and FortisBC customers including City of New Westminster residents living in single-detached, duplex or townhomes only. EfficiencyBC incentive details are available at www.efficiencybc.ca. Program partners reserve the right to revise terms and conditions without advance notice, including revisions to rebate amounts and eligibility requirements. Contact Energy Save New West for full program details.